Canadians are preferred travelers in the US. 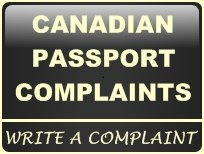 Your passport has to only be good till your intended return to Canada date. We are trying to find a telephone # for Nanaimo Service Centre (passports) for a friend. Cannot find anywhere. Is there a Passport Office in Nanaimo, B.C. where I can drop off my Application Form to receive a Passport.